Queen Anne's Revenge: do you want fries with that? I love, love, LOVE the way the room is coming together. The floor is going to be stunning. Whew, what work though! Having only recently discovered your blog, I have now read every post, and, wow, what an adventure you have undertaken! Bravo! Congrats! I have also enjoyed your writing, humor, and viewpoints. So, thanks for many well-read hours! Beautiful work! 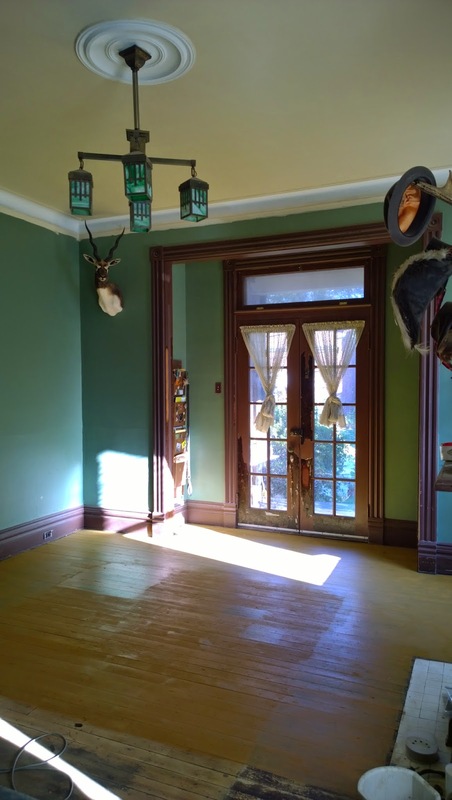 Reading your blog makes me even more impatient to finish the simple Foursquare I'm restoring/renovating now and move on to the Victorian I've been coveting. 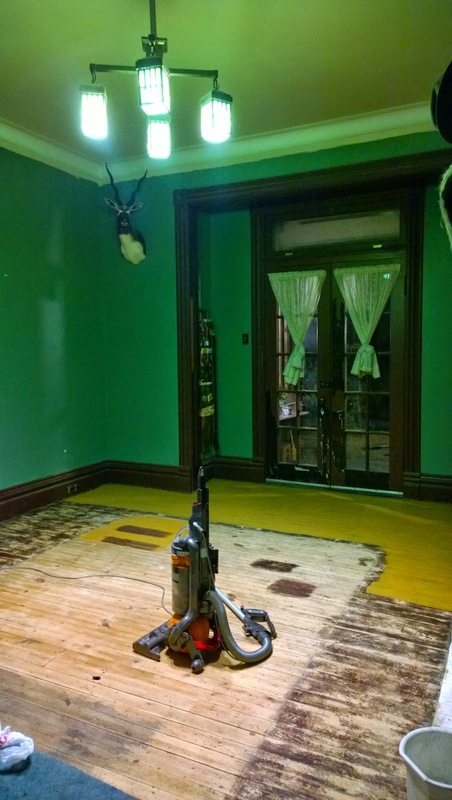 What did you use for sanding your floor? 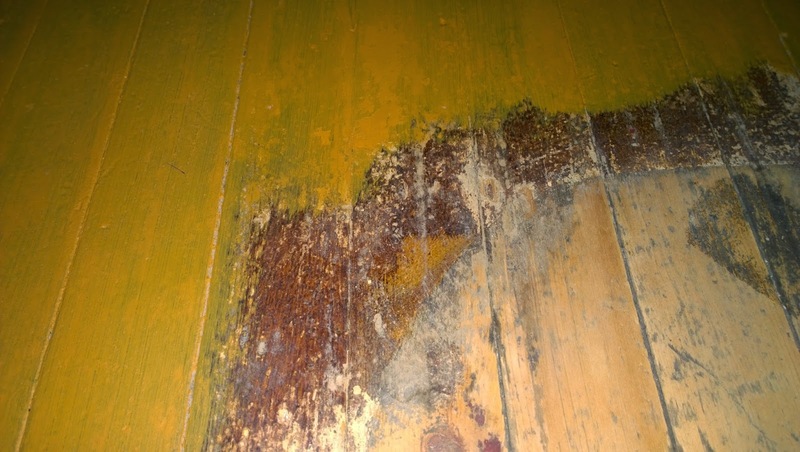 Did you use a commercial floor sander? Nope, just my little random orbit sander. 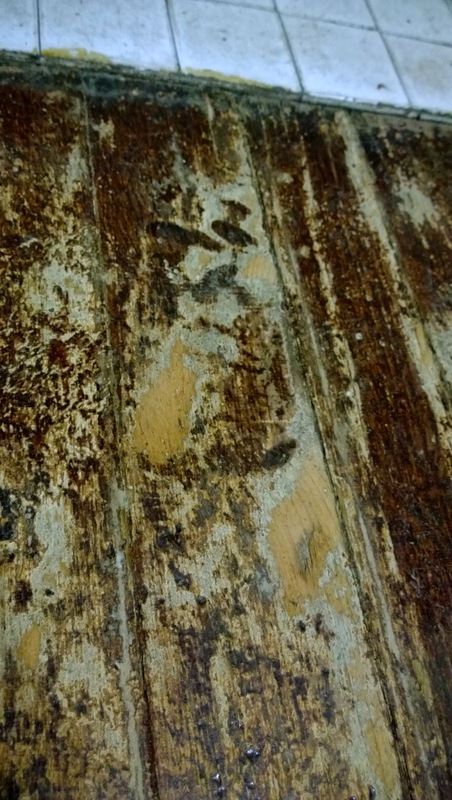 Since there's no subfloor, the big machines make horrible chatter marks with all the vibration they cause. Any plans on writing on your empty blog, or are you saving it for the victorian?